Join us at Open Day this weekend! Whether you’ve never been to uni, you want to add to your qualifications, or you’re just curious to see what it’s all about, come to our Cradle Coast Open Day this Sunday! There will be lots of information about what to study, how to apply, and how we can help you on your education journey. We'll also have lots of food, entertainment and activities for the whole family. Come along from 10am-3pm and join us for a great day on the beautiful Coast! Have you heard about our University College? UC offers flexible, supportive associate degrees in areas like applied business and sport and recreation. Speak to the friendly UC staff to find out about how their courses can help you get more industry skills, or pave the way to a bachelor’s degree. Where: Foyer of Building D, near Library. Need a financial kick-start to your degree? Come along to this presentation and find out how to get a scholarship to support your studies, and get help applying. Find out more about our scholarships program here. Remember playing Operation when you were a kid? Well try your luck on the College of Health and Medicine’s life-size version! Try your luck and then stick around to ask questions about our huge range of health courses. Where: Board Room, first floor, Building D.
See the calves from our Tasmanian Institute of Agriculture Dairy Centre, take a virtual tour of TIA’s Forthside Vegetable Research Facility, and chat to our researchers about the opportunities for studying in the area of agriculture. Where: Lawn in front of Building D.
Come and learn about our Tasmanian School of Business and Economics’ Corporate Internship Program that gives students valuable work experience at the same time as they complete their studies. This event is perfect if you have questions about University life, because it’s presented by the experts: our students! Find out more about our Student Ambassador program here. Register now for Open Day and enter our Gap Weekend comp! You will go into the draw to win stacks of great prizes, including a Nintendo Switch, GoPro Hero, iPad Wi-Fi 32GB! You can also create your own personalised Open Day timetable. Find out more about studying at the University here. We’ll make it our business to help you. Not loving your job? 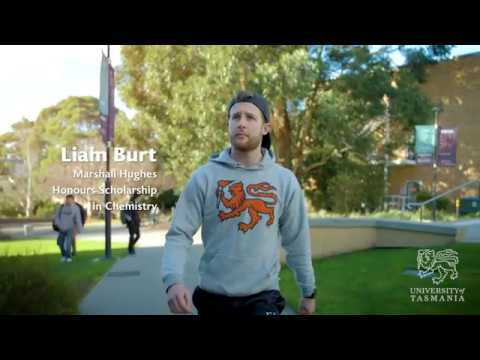 Come to the University of Tasmania’s Open Day.